People who have a lot of luck and a great deal of talent are seemingly unstoppable. Harry Jarvis, the respected British actor, is one of those kinds of people. He was performing in a school production years ago and an agent happened to be sitting in the audience and lo and behold…Harry was discovered and was immediately cast in the Sky Drama three-part series Thorne Scaredy Cat to play the role of Young Stuart Nicklin. He acted alongside Eddie Marsan, Aidan Gillan and David Morissey. Harry’s luck and talent didn’t stop with that role, either. 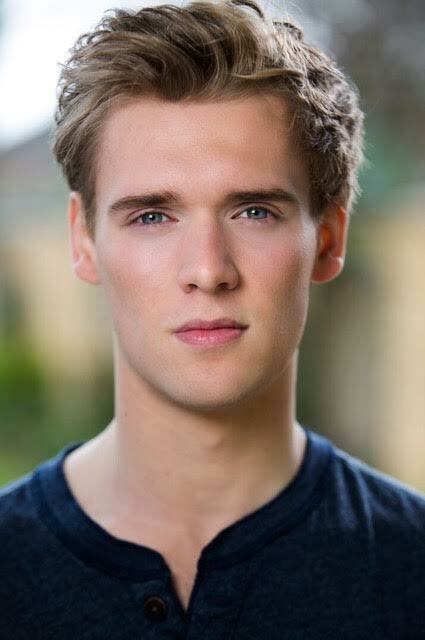 He has gone on to be cast in numerous feature motion pictures including, Spaceship, directed by Alex Taylor, 2Hrs as Tim, Mid Summer Night’s Dream as Lysander, and he is also shooting a six-part historical series playing Lord Darnley, which is filming in Madrid. His luck and his talent also got him nominated (at a young age) Best Young Actor in a stage role. Actors, of course, would love to depend on their talent alone to get the parts they cover, but many of them realize that luck is an important element in being successful. How did that agent just happen to be in the theatre at the same time that Harry was on stage? Good question! Was it Harry’s talent that magically brought the agent through the front doors? Well, we could argue both points of view until we’re blue in the face and we would never solve the question of whether luck exists and whether it is truly a part of someone’s success or not. And when you think about it – it really doesn’t matter because actors with Harry’s talent and drive are always going to just keep going and they will get the parts they want if they continue to improve their skills, which Harry is quite adamant about doing. So, we would like to think it is a matter of luck and talent combined that make greatness but there are a lot of talented people out there who play the lottery every day and never win a thing. Is that the result of luck and talent combined or does it really matter at all. Harry has a few movies coming out shortly and we suggest you go out and see them. You’ll be able to see straight away if it’s luck or just pure talent that has brought Harry to the top of game in acting.